In the last few hours we have witnessed the first public steps of the new Android virtual reality platform, Google Daydream VR. Among them, we knew the official requirements for Daydream Ready certification, and this has, in turn, resulted in the emergence of the early opinions of many app developers about the virtual reality experience provided. The purpose of this platform is to serve as a hub for all other experiences available thanks to virtual reality; this is: access to everything already downloaded/purchased, and the option to download/buy other new apps. Smartphones that will be able to run the Daydream virtual reality platform should have a processor with a minimum of two physical cores, support for OpenGL ES 3.2, Vulkan, and Bluetooth 4.2 and the screen has to be larger than 4.7 inches and you must update the frames to at least 60p in VR mode. Seen this way, they do not seem too strict requirements. 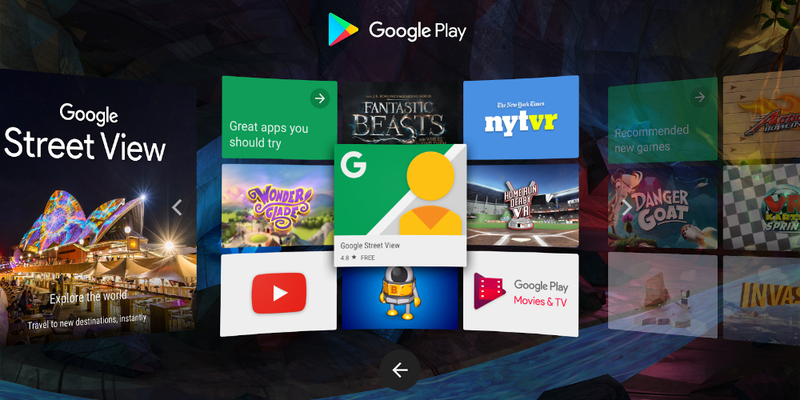 Although for now only the smartphones Pixel and Pixel XL can boast native support for this app, it can already be installed on other compatible devices, and in the coming months there will be new ones (and old ones) that can also be used with the Google virtual reality glasses. We are only at the dawn of this new technology, so we expect many more new developments in this regard. One of the easiest ways to check Daydream's functionality is through Google Street View, which added a new update that supports it and also fixed some bugs. If your cell phone is compatible, navigating the streets of your city without taking a single step will be usual and at the same time realistic. Among other improvements, we also have YouTube VR, another application that is now indispensable to enjoy the virtual reality; thus, the YouTube interface has been redrawn to be more easily controlled by the user, either through voice commands or with the appropriate keyboard. The videos that can be seen in this case are exactly the same ones that are in YouTube, but with 360° of vision if it were the case. Many users, when they hear of virtual reality, immediately think of the amount of fun possible at their fingertips. 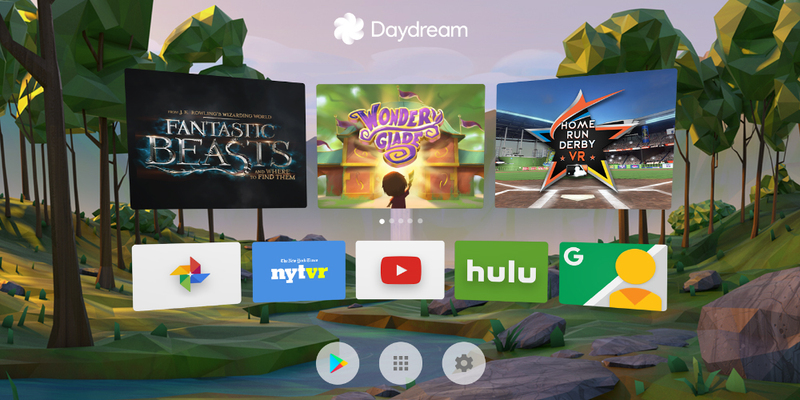 The games are the great sector benefited by this technology, and for this reason several games are already available through Daydream. In particular we feature five: Hunters Gate, an arcade in which we will have to fight against demons; Mekorama VR, a small puzzle game with colorful graphics; The Gardian VR, a strange experience of isolation in a slightly distressing cell; Fantastic Beasts, a game derived from the new Warner Bros. movie about the universe created by writer J.K. Rowling; and The Turning Forest, a virtual experience in a world inhabited by fantastic creatures. For those curious who want to try a new experience of virtual reality, you can already try Daydream on a Nexus 6P. It is necessary to have a second Android smartphone, with KitKat or later, and with gyroscope, in addition to a VR viewer compatible with Cardboard (we warn you in advance about a possible and rapid overheating of the device once it is in use). Install the Daydream and Daydream Keyboard APK on the Nexus 6P. On the second smartphone install the controller emulator APK (direct link in GitHub). Pair the two cell phones through the Bluetooth configuration. Open Daydream on the Nexus 6P; to do so, go to Settings and tap on the build number several times until Developer Options appears. Next, look for the option of the emulator for the controller device and choose the second cell phone. Make sure that Ignore initial VR screens is enabled. Open the controller emulator app on the secondary Android device and return to the Daydream app on the Nexus 6P.